Are ICO’s legal or not? How can investor protect themself and find an honest developer? Is it similar to an IPO? Insider.pro tried to find a racoon in ICO’s thickets and made a review of regulation surrounding ICO’s for investors and blockchain enthusiasts. Since initial token offerings (ICO) are gaining momentum, becoming an increasingly more popular instrument to attract investment, the crypto community continues to argue about the necessity of regulating the crowdfunding campaigns for the sake of investors’ security. One thing is for certain - ICO has already become an established way of attracting funds for new projects, which can not be ignored. There are a lot of successful examples of IСO’s. The very first ICO, a Mastercoin project (now is called Omni), raised $5ml in 2013. The most famous ICO - Vitalik Buterin’s project Ethereum - raised $18ml, but then thanks to the growth in currency rates, the investors funds have increased several times over (now ethereum’s capitalization is more than $ 50 bn.). But there were also sad experiences like with DAO and TEZOS. The DAO Fund could have become the first decentralized venture fund as it collected around $150ml. The fund began its work, but it wasn’t ready technically which allowed hacker to steal about $ 60 ml. Tezos project, which has attracted more than $400ml through its ICO in July 2017, aimed to create a blockchain network for smart contracts, but became frozen for some time due to internal disputes. Regulators across the world are working on developing a unified set of laws that will regulate crowdfunding and prescribe both requirements for ICO projects and developer’s responsibility in case of a failure. Here are the ways ICO’s are being regulating in different countries. The USA is the founder of ICO regulation. In 2012 the world witnessed an introduction of the JOBS Act (Jumpstart Our Business Startups Act). This law allowed the American companies to attract investment at the initial stage of development under a simplified scheme, whereby any U.S. citizen could participate in a crowdfunding campaign. For its part, a start-up company must publish data on its founders, financial condition of the project, detailed business plan and etc. After the ICO campaign, the project team must regularly report on its spendings to both the investors, and the U.S. Securities and Exchange Commission (SEC). However, as the number of deceived investors grew exponentially, in summer of 2017 the US toughened the control over ICO projects and announced that from then onwards it will equate ICO’s to the first public offering of traditional shares - IPO. Now ICO’s have become subject to the federal securities laws and the SEC is responsible for all ICO related issues. Thу federal securities laws apply to those who want to sell securities, regardless of whether the company is traditional or decentralized, whether its securities are purchased for dollars or cryptocurrencies. China became the first country to declare that ICO’s are outside the law. In September 2017 Chinese authorities demanded from the ongoing ICO projects to seize all activities and return funds to their investors. The ban is associated with increased risks of scams and financial pyramids. Moreover, all crypto exchanges are prohibited. Following the Chinese footsteps, the Financial Services Commission of South Korea (FSC) has set out a ban on all ICO projects in September 2017. They stressed that ICO’s increase the risk of financial fraud, and therefore token issuing and trading should be illegal. Authorities have promised to apply strict penalties to any company or person that issues new cryptocurrency. At the same time FSC claims that the existing cryptocurrency trading should be strictly regulated. Currently authorities are actively discussing cancelling of the ban on ICO’s subject to conditions. That’s because state actors are beginning to realize that blockchain startups have great potential for attracting foreign direct investments into the country. Singapore is actively supporting blockchain projects that seek funds through an ICO. In the summer of 2017, Monetary Authority of Singapore (MAS) has announced that the issued tokens will be equated to securities. Also MAS published a guide where it outlines cases there ICO projects falls under the existing legislation. A token which is a product of the capital market (like the shares, debt instruments and shares in collective investment fund) should be regulated by MAS in accordance with the Securities and Futures Act (SFA) and the Financial Advisers Act (FAA). At the same time when the cost of the issued tokens is less than $3.75 ml. the registration of the project isn’t required. 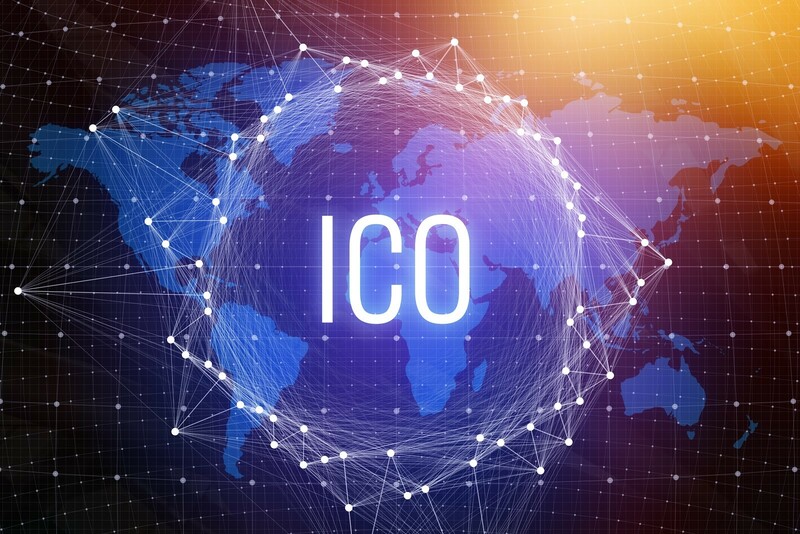 In September 2017 the Financial Conduct Authority (FCA) began a discussion on how to regulate ICO projects, noting that most of tokens issued are subject to the current legal framework. FCA also warned about the possible risks associated with investing and conducting ICO’s, advising all to read the Discussion Paper which describes breaks down the pros and cons of a distributed ledger technology and its compliance with current regulations and legal frameworks. But the government regulators are confident that cryptocurrencies do not directly threaten the financial system of the country. In November 2017 the Federal Financial Supervisory Authority (BaFin) commented on the risks associated with dealing with ICO’s, warning potential investors that it’s possible for them to lose their funds for good. On the other hand, BaFin isn’t propose to strengthen control over ICO’s. BaFin also announced that it will prepare a full investor’s guide. In October 2017, the French Financial Supervisory Authority (AMF) published a consultation paper on ICO projects that includes a description of what an ICO is and warning of ICO-related risks. They also provided a legal analysis, clarifying the rules that fall under the remit of the AMF to enforce while outlining three possible directions of how the ICO regulation can develop in the future. The Financial Services Agency of Japan (FSA) issued an official statement that ICO’s in Japan can be governed through several existing laws. Depending on the structure of an ICO, it may be subject to law on requirements on payment services or the rule on financial instruments and exchanges. Later FSA published a guide for ICO token sales to Japanese residents. According to the document, some ICOs may be liable to abide by the rule of interfund transactions. For example, when the tokens’ sale may lead to a profit in the form of a cryptocurrency. Currently the status of the ICO market in Russia has not been legally regulated. However, the government is taking steps to resolve this issue in the near future. As followed from official statements on July 1, 2018 an Act will come into force, defining the ICO set up procedure. In particular, the ICO developers need to disclose information on the beneficiaries and their location as well as the token holders rights. Users, who do not have the status of a qualified investors, will be able to buy tokens not not more than $800. The document doesn’t contain any information about summ limits that can be collected for ICO. As we already know, in some countries ICO has become equated to IPO, in some its an independent form of crowdfunding, while other countries have not yet developed their take o the situation. But can we say that ICO is similar to IPO? In many respect, such uncertainty is due to the fact that these two procedures are quite similar by common characteristics. Nevertheless, they differ in the set of parameters and this comparison is largely inaccurate. IPO is a funding method, where the issuer’s securities are initially made available to the participants. Companies can create IPO’s only when they have a ready-made product, and their activities meet all the requirements set out by a legal regulator. In this case, the investor can gather information about the company's products, how and for how long its been operating, and determine its potential for growth by using real economic indicators. ICO is a way of fundraising the project development by first issuing a software products of the company - a token. During the ICO, investors receive tokens for providing funds that have a certain value. These can be sold on a stock exchange or provide the holder with a variety of benefits such as an income. More often than not, developers can’t offer a finished product within the ICO project, but seek for funds for its developments and subsequent enhancement. Thus, ICO and IPO are very different in their purpose since they are created for diverse goals and implemented through varying mechanisms. ICO also has a different functional model to an IPO. Within the IPO, developers create a company whose shares are bought by investors that receive a certain share of dividends. But with an ICO, investors are not connected to project developers that organize the tokens’ issuing company. All project’s future advantages and disadvantages will have an impact on the value and functional component of the project's tokens. Under the IPO, investors give their money to a real and functioning business, while under the ICO project participants are investing into certain idea. Nowadays as long as there is no global cryptocurrencies regulations for ICO’s, its not accurate to compare it to an IPO since it does not reflect the whole essence of the process and the goals of an ICO. But it’s clear that a new mechanism is being formed, which is much cheaper that an IPO and provides a key to the market not just for large corporations but also for ordinary people. They can make use of a tool which can be more functional than an IPO share. 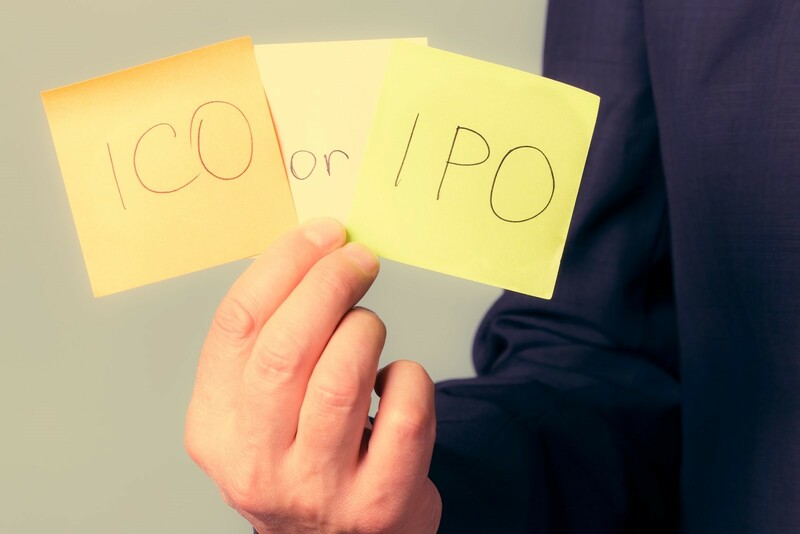 All these factors suggest that an ICO is all set to play a role of a new instrument, which can become an alternative to the IPO, but not be compared to it.